WANT TO GET RID OF SPIDERS? Do you have Messy webs around the house? Are spiders a danger to your children and pets? Potential life-long consequences from spider bites. Spiders are possibly one of the most feared and disliked creatures therefore it is easy to be dramatic about the reasons for spider pest control. 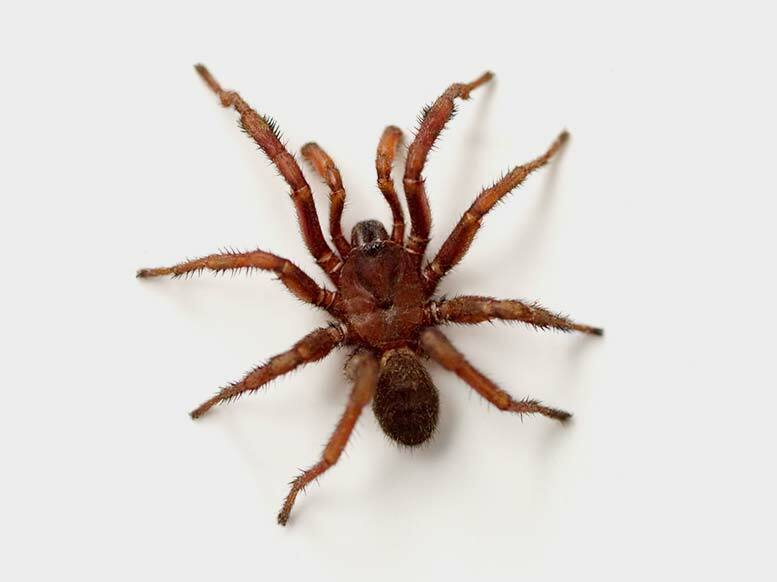 Contrary to the common belief they are not all dangerous, however some varieties of spiders can have a serious impact on your home and family. WHY GET SPIDER PEST CONTROL? Some species of spiders, like the Redback spider pose a threat to the lives of family and pets. If dangerous spiders are found in your living environment around the home, some form of spider control should be implemented. Even though spider control treatments are short-term, it breaks the life cycle of the spiders that are treated. This means it will take a lot longer for the problem to appear again. SPIDER PEST CONTROL DONE RIGHT? Spider pest control in Newcastle is always a challenge. Spiders are a beneficial part of our eco-system and help to keep other insect populations under control. The balance needs to be achieved while attempting to achieve spider control in the target area. The spider pest control methods Newcastle Kill A Pest uses to remove dangerous spiders from your house will differ according to the group the spider belongs to. HOW DO WE TREAT FOR SPIDERS? This group of spiders are not found on webs but commonly make their home under leaf litter or bark, in hollows or purpose-built burrows and in general garden areas. These spiders either hunt down or ambush their prey. For crawling or hunting spiders, control is extremely difficult. Spider pest control methods are limited to the removal or elimination of each individual spider by direct contact with a pesticide. Unfortunately, chemical sprays applied as a “barrier” method of spider pest control, to stop crawling spiders from coming where they aren’t wanted, do not work. That is why no pest control company can offer a warranty on crawling/hunting spiders. For webbing spiders, there are a few different spider pest control options. Remove webs: Removing spider webs may stop you inadvertently walking into them but this is not a long-term spider control solution. Chemical sprays: You can spray a spider directly with flying insect spray as a case-by-case form of spider pest control. Spraying chemical on the webs is not always effective since most webbing spiders hang on using claw-like structures on their legs which do not readily absorb chemical residues. The optimum result is the hit the spider directly with the product. Removing the web doesn’t usually help to cut down spider populations, it is always advisable to remove the web after the treatment because it allows you to determine when the spider population is building again and when further spider control is needed. For more detail on spider identification and biology – click here. HOW LONG DOES SPIDER PEST CONTROL LAST FOR? As residual spider pest control treatments do not usually work, the spider population will build up again over time. If you have a lot of bush and foliage in the immediate vicinity of your property, the time between treatments will be much shorter.